One of the things I miss the most from my NYC life is the studio fitness scene. I lived for trying fun exercise classes in gyms and studios back home because not only was it good for my body and mind, but it was a great way to feel like a part of something. 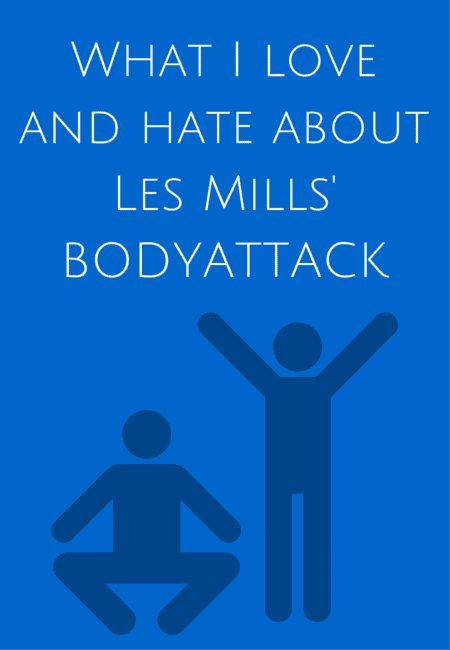 Unfortunately, in my area of France (and even in classes I’ve tried in Paris), the fitness scene leaves a lot to be desired. One of the highlights of my workout routine the past couple of weeks has been my Peloton app subscription. If you’re an indoor cycling die-hard like I am, you’ll want to keep reading my Peloton app review. 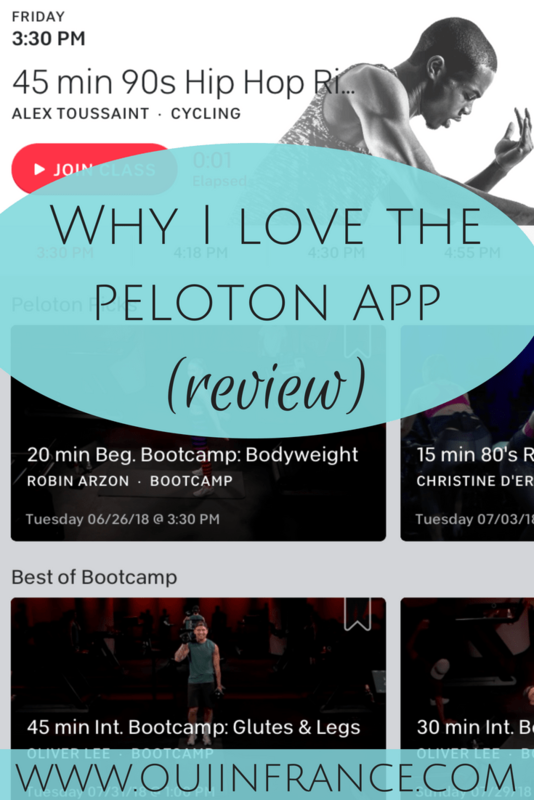 Please note this is not a sponsored review and I have no affiliation with Peloton. 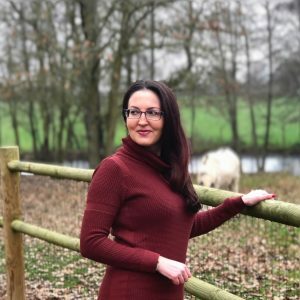 When exercise is something that motivates you and gets you excited about life, it’s only normal to feel a bit let down when the fitness scene goes from a 10 to about a 3 when you move from a huge city to a small town. Even outside of NYC in American suburbs, the fitness scene is poppin’ and it’s something I always enjoy when I go back to the USA. These days, I make the best of things and have just gotten creative with my workouts. Between my small local gym, workouts on my own at home, and now ones guided by the Peloton app, I think I’ve found my new groove. I know some of you might think it’s strange that out of everything I could miss from the USA that I miss the boutique fitness studio scene, but when something means a lot to you and affects your well-being and then goes away (as it did in my case with a move across the Atlantic), it’s only natural to yearn for something you no longer have. Yes, I’ve adapted and do other kinds of workouts, but I’m just being honest. It’s not the end of the world at all, but if I can bring that experience a little closer to me, then I’m all for it. The Peloton app lets me do just that. For those of us living abroad and even those of us in our own country, the Peloton app is a fitness masterpiece that I can’t recommend enough. Anyway, let me give you some of my back story. I started taking indoor cycling as an 18-year-old college student and then became an instructor a few years out of college at my company’s on-site gym. Indoor cycling was a way for me to train hard without impact on my joints and get my music fix at the same time — something you can’t do on a road bike outside. The beat of the music was beyond motivating and a good playlist was just as important as the makeup of the workout itself. Indoor cycling was something I quickly grew to love and it’s a staple of my workout routine even today. It’s just that these days I program my own cycling workouts instead of taking classes at cycling studios or take my gym’s RPM class. RPM is a cycling class from Les Mills and I enjoy it (BODYCOMBAT is my favorite Les Mills class), but it’s the same music and choreography for 12 weeks straight (like all of their classes). If you crave variety, it can get a little stale by week 8 or so. FYI, I wrote an entire post on a Peloton alternative setup where you can use the app with any bike. Super affordable. Read it here. But let me stay on track. 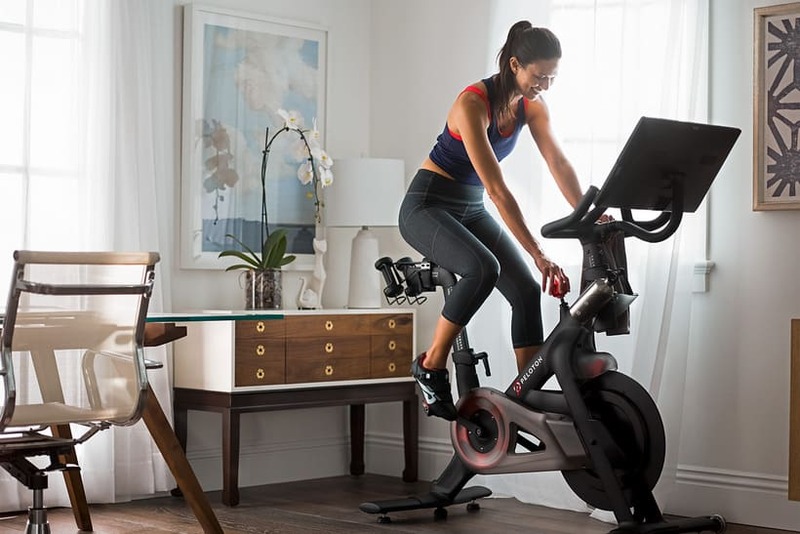 In addition to studios where you can exercise with others in group fitness classes live, they also sell the Peloton bike at their retail showrooms and online. It’s a little over a $2k investment (if you’re serious about your cycling, it’s worth it IMHO) and is a souped up stationery bike with all the bells and whistles including a screen that hooks up to the app I’m reviewing here. It’s niiiiiice. The app brings the Peloton studio experience into your space. Over 20 live classes are streamed from the Peloton studio in New York City each day. There are cycling, running, bootcamp, strength, and outdoor options available, although the brand’s original focus was cycling and that’s what I gravitate toward and am reviewing here. Variety isn’t a problem either. There are over 10,000 previously recorded classes in their library that you have access to with just a few taps on your screen. 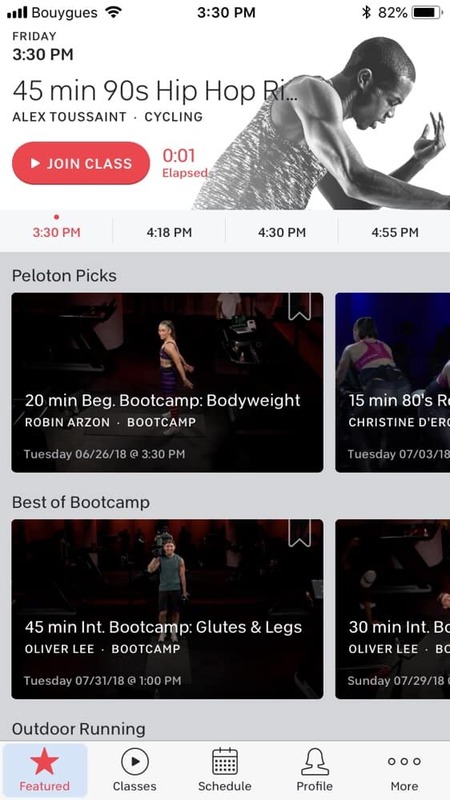 You can either take live or in-demand classes on your Peloton bike or download the app to your smartphone or tablet and stream classes while on your own bike. At the time of publishing this post, the Peloton app is only available for iOS devices. If you’re looking to get your own indoor cycling bike for your home, I’ve heard the very affordable Sunny brand is great quality. One of the first things I noticed upon logging in is that the app is professionally set up and easy to navigate. You can sort by upcoming classes or previously recorded ones and filter results by instructor, type of class, music genre, class length, etc. if you wish. Then you can click on a class and see the description along with its overall rating including the difficulty rating, playlist, and times for each part of the workout (warmup, cycling, cool down). Something else I want to mention is that the Peloton app is professionally filmed with excellent sound and video quality. This is important because when you’re concentrating on your workout, you don’t want to be distracted by terrible sound or unstable video. There are so many workout apps and videos out there that have solid workouts but the sound and/or video take away from the experience. That’s not the case at all with the Peloton app. In terms of cost, the app is billed monthly and is US$19.49/month. If you have the Peloton bike, the app is $39/month. I 100% think it’s worth the cost. Because I’m in France and the Peloton bike isn’t available here (and even if it was, it’s a big expense), I have been using the app on bikes at my gym. I plug in my headphones and attach my phone to the handlebars with my Joby GorrilaPod. I don’t get to be a part of the live leaderboard or see the metrics like I would if I had the Peloton brand bike, but I am able to take live classes (or previously recorded ones whenever I want) along with everyone else. It makes me feel like I’m there in the NYC studio even though I’m thousands of miles away. That’s worth something to me. Every day there’s a selection of live classes through the Peloton app and there’s no shortage of workouts. They range from 10 minutes to over an hour and there’s an option for every type of exerciser, schedule, mood, and intensity. I love that they don’t just offer a clone of the same type of workout over and over. Some of the instructors are more motivational and inspiring while others are no-nonsense and all about pushing you to your limits. I like to work hard most days and a few instructors are former Tour de France participants who are all about the metrics. There’s a type of workout for everyone, whether you’re a beginner, someone just looking to dance and sweat, or you’re looking at performance-based goals. There’s nothing intimidating at all about the Peloton experience, though. I think you have to take a few classes to get a feel for each instructor’s vibe and style and figure out who you like best. Out of the instructors I’ve tried, I loved Denis Morton, Ally Love, Emma Lovewell, Alex Toussaint, and Matt Wilpers’ classes. Now let’s talk about the variety of music. The music makes all the difference when working out and Peloton’s music is spot on. That doesn’t mean it’s all the same. From country to rock to pop to hip hop to electronic dance music (my fave for cycling), you’ll find a playlist and class that works with whatever you’re feeling like riding to that day. HUGE selection of classes in terms of instructors, music genres, and types of workouts with new workouts added daily. Extremely professional setup and high-end sound/video quality. All classes are professionally filmed, so the sound isn’t blown out, the instructor isn’t out of focus, and there are no jerky camera movements. It’s a top-notch stream so you can focus on your workout and not the tech. A reasonable $19.49/month fee for unlimited classes, which include live and on-demand workouts. This is way cheaper than a gym membership. Although the subscription price has gone up in the past couple of years, I think it’s worth it for what you’re getting. I highly recommend that you do a free 14-day trial to see if it’s right for you. I love that the app is available to those of us without a Peloton bike. They’re expanding to the UK and Canada this fall, but for those of us in France, the app is the only way to get our Peloton fix. It’s great you don’t need the bike to take part in live classes (unlike Flywheel whose app is currently available to people who have the Flywheel bike). The only major downside is that you can’t download classes for offline use. If you don’t have Wi-Fi or enough data on your phone to stream the class, you can’t download it to your device for later when you’re not online. Because I don’t have a bike at home (yet) where I have Wi-Fi, I’d take classes while on a bike at my gym and ran out of data after 3 days of streaming classes on my phone. It would be great if Peloton considered letting users download classes for offline use. This makes sense for some of their outdoor workouts when it’s only normal that someone wouldn’t have Wi-Fi if they’re out in a park or something like that. Maybe this will change in the future. Some people might find the instructors too chatty or coaching a little too much. Although I don’t feel that way, I could see the need for a music-only version of each workout where they strip away the instructor audio. 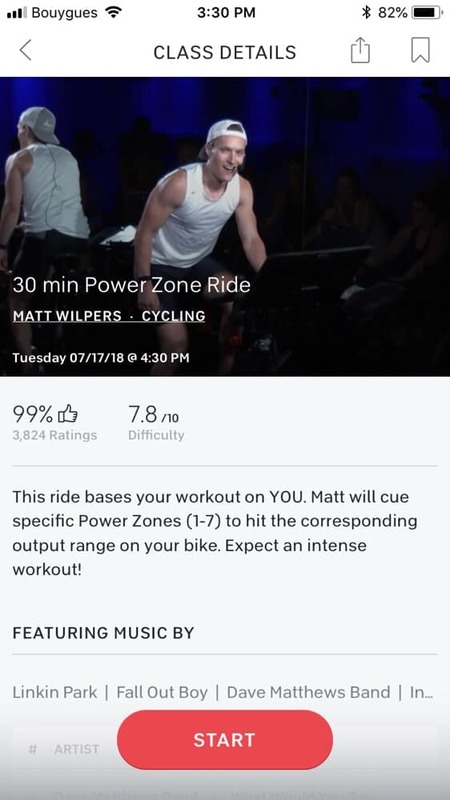 The instructors make the classes what they are in my opinion, but if people just want playlists, maybe Peloton will release playlists through the app. Right now, I grab Peloton music on Spotify. 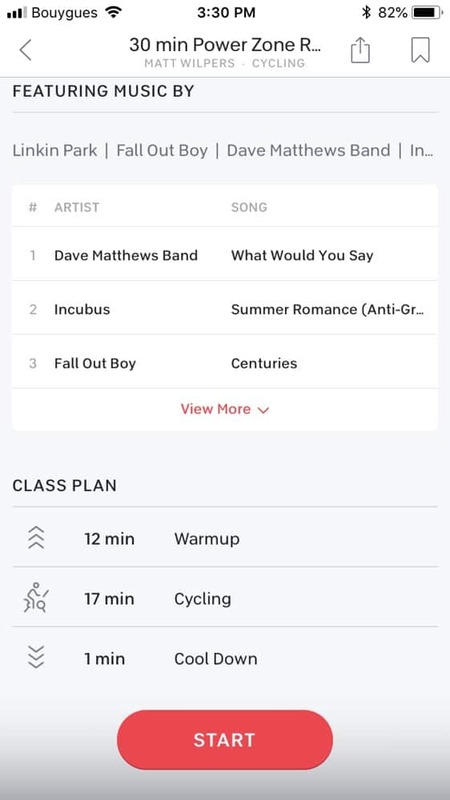 It would be cool to have a playlist feature within the app where you can listen to the music and not the entire class with video and instructor coaching. If you’re new to fitness or cycling, you may be more comfortable in a studio setting or with a trainer to make sure you have good form before working out at home. This isn’t something specific to Peloton, though, and anyone new to exercising should make sure their form is correct before work out on their own. If you’re self-motivated enough to hit play on a workout video (and you probably are if you’ve read this far) and are into indoor cycling, this app is a no-brainer. I recommend it 10000% percent and look forward to every class I take. I wish I had the official bike in my garage! Just hit play and let the instructors do the rest. The time goes by so quickly and I feel like I’ve taken a little piece of the NYC studio scene with me and that feels so, so good. Hope you enjoyed my Peloton app review. If you’ve tried the app (or have the Peloton bike), let me know what you think in the comments! 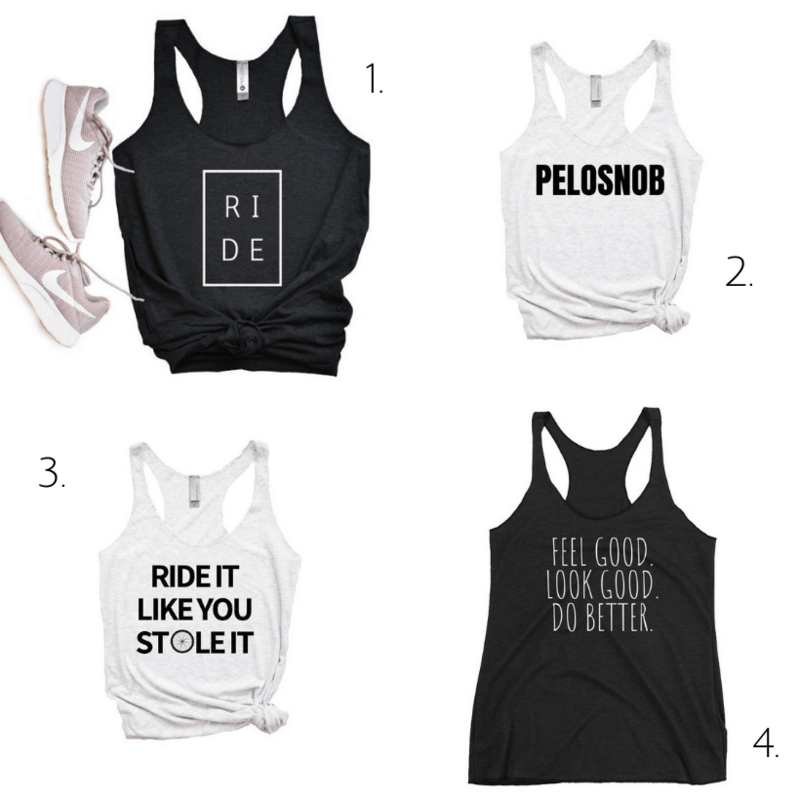 Check out this fun Etsy shop with all kinds of Peloton clothing inspired by our favorite instructors. Here are some of my favorite Peloton shirts below. Feel Good. Look Good. Do better. Peloton tank inspired by Alex Toussaint. Great post, Diane ! Actually, I think that’s an excellent idea ! I understand where you are coming from. Classes that are positive really add to your work out. As a dancer and instructor, I’ve found it really makes a big difference. I also bike for 20 min a day. Nothing like the kind of cycling you do. Mine is really low key, I do it about an hour after I’ve eaten. The bike looks like a really good investment ! Thanks for sharing ! Wow, great review Diane! It sounds like an awesome app and a great way to feel like you’re taking part in an exciting live class. And it comes through loud and clear that you really love it! I’m not much of a spin bike exerciser, but after reading this, I see there’s a whole other world out there. Thanks for sharing your experience!